Virgin has boosted its credit card sign-up bonuses – but which card is best for you? 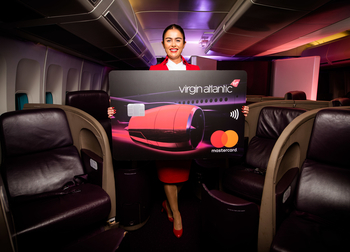 Last Monday, Virgin Atlantic launched a special limited-time sign-up bonus on its two new Virgin Flying Club credit cards, issued by Virgin Money. These offers run until 28th February. 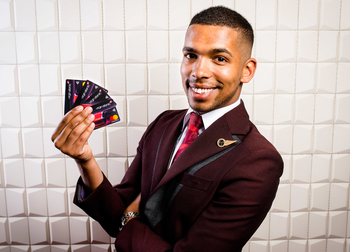 With this in mind, I wanted to run through the two Virgin Atlantic credit cards again to help you decide which one is best for you. I also wanted to focus more closely on the long-term spending bonuses which kick in when you spend £10,000 (£160 card) or £20,000 (free card) per year. I ran a version of this article last time Virgin had a promotion on its cards, which is why long-term readers might find it familiar! As you can see from the picture above, the free Virgin Atlantic Reward credit card is pretty cool, as credit cards go. There is NO information on the front! No card number, no personal name (these are on the back) although there is the usual chip. The card is coloured red on the edge which makes it stand out when you look into your wallet or card holder. Your reward is triggered IMMEDIATELY upon hitting the spending target. The target is £20,000 in a card year for the free Virgin Atlantic Reward Credit card and £10,000 in a card year for the £160 Virgin Atlantic Reward+ credit card. As usual, there is no easy answer to this question. Here are my thoughts. The free Reward credit card is a very easy free 10,000 Virgin Atlantic miles. Even if you are not a major Virgin Flying Club collector, 10,000 miles for spending just £1,000 is attractive. Whether you should get the Reward+ credit card depends on your spending. Purely from a bonus point of view, you are spending £160 to get 25,000 Flying Club miles. This is a good deal in itself overall (just 0.64p per mile) but you need to compare that with the 0.00p cost for the 10,000 miles with the free card! To get the full benefit you need to be spending on the cards too. I like the upgrade voucher for hitting your annual spend target. If you usually travel on your own, you don’t need a BA Amex 2-4-1 voucher. The upgrade voucher lets you book a return Premium Economy reward flight on Virgin Atlantic for the same miles as an Economy reward flight. As vouchers are valid for two years, it works for couples if you are prepared to wait two years to earn two vouchers. I do not like the 2-4-1 voucher for hitting your annual spend target. I am 99% sure that Virgin Atlantic has missed a trick. There is no good reason, in my view, to restrict Upper Class redemptions using the 241 voucher to Virgin Flying Club Gold members. As we all know, or should know, long-haul redemptions in Economy are usually a waste of miles because of the taxes and charges. For non-status members of Flying Club, this is likely to be a perk with little value outside peak periods and you would be better off taking the upgrade voucher. Let’s not beat around the bush. 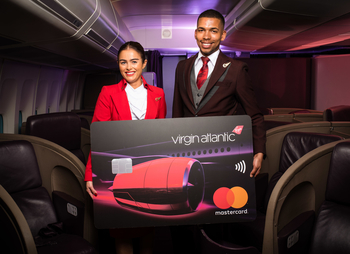 Looking first at the free Virgin Atlantic Reward credit card, 0.75 Virgin Flying Club miles per £1 spent makes this the most generous free Visa or Mastercard currently available. What are your alternatives, looking only at cards still open to new applicants? 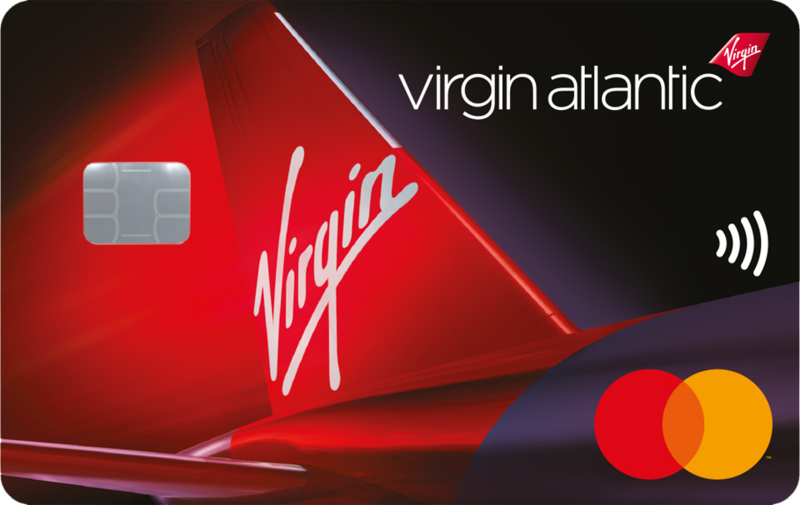 The free Virgin Atlantic Reward credit card is twice as valuable as the next best free travel Mastercard or Visa card. Again, the annual fee Virgin Atlantic Reward+ credit card has more valuable rewards than any other fee-paying travel Mastercard or Visa card. …. is using the miles. Virgin Atlantic is a long-haul airline and so you don’t have any low value redemptions of note. Virgin Flying Club will change massively in the next 6 months when Air France and KLM flights become available for redemption. This could happen as soon as April but may slip. This will add short haul options in Europe as well as the excellent Air France / KLM long-haul network. There are also lots of partner promotions which we write about on Head for Points. You CAN build up a decent stock of miles relatively easily – the free American Express Preferred Rewards Gold has a 20,000 point sign-up bonus which will convert into 20,000 Virgin miles. This article – click here – looks at where Virgin Atlantic flies these days. 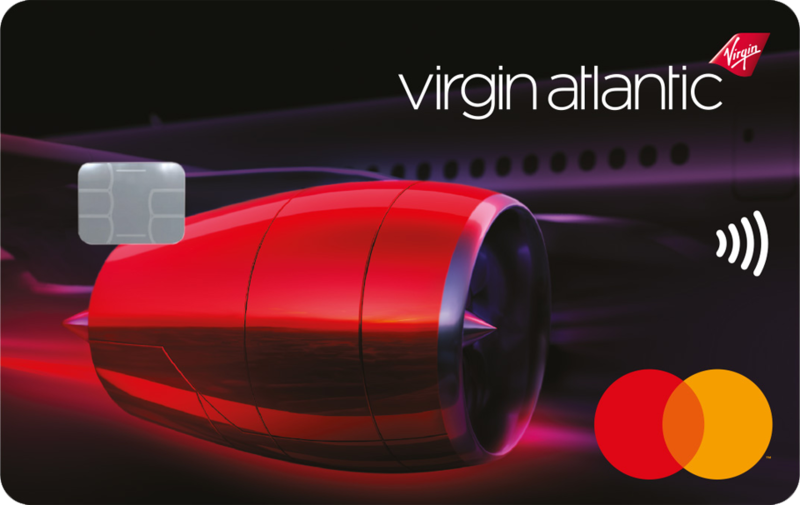 From the perspective of day-to-day earning, the new Virgin Atlantic credit cards are excellent. They are the most valuable Visa or Mastercard travel cards on the market in terms of return. If you have been thinking about getting one of them, you should do it before 28th February whilst the higher bonus is available. If you are a casual Virgin Flying Club collector, 5000 miles for taking out the free card and 0.75 miles per £1 spent will see your balance move along, albeit slowly. You may or may not get value from paying £160 for one year for the Reward+ card to get the 15,000 mile bonus. Access to seven Virgin Money lounges around the UK (I reviewed the Piccadilly one here) is a decent extra perk for everyone. The full list of lounges is here. You can apply for the FREE Virgin Atlantic Reward credit card (10,000 miles bonus) here and the paid-for Virgin Atlantic Reward+ credit card (25,000 miles bonus) here. What would these cards be like for 3 travellers. I have been making use of ba 2for1 and avios upgrade voucher for our family but with avios duo card going I am thinking about switch to virgin. Also use flybe for regional flights so with virgin take over this is another reason to start collecting but I don’t have any status. Do you know if you have to use the voucher for yourself if upgrading from economy to premium or can you use for another family member and can you do family accounts like British airways exec. Club? I used the VA upgrade vouchers to upgrade two relatives to PE when booking over the phone. I did my free card applicatiom before the December cut off, getting 10,000 virgin miles, thank you very much. However I would only get 0.75 of a mile for every £1 spend. On my AmEx I get 1 point per £1 = 1 mile, so my incentive for continued use is zero. I will carry it in case I see a Virgin Money lounge somewhere! Also people should be aware that some car rental companies do not accept non number embossed cards for deposits – Europcar for one. So always have the AmEx handy. Its declared in their rental T’s snd C’s always read the small print to lead a happy life!! I’ve had my VAR+ card declined at a Car Rental pick-up, earlier this month. Didn’t know about the embossing point, may well explain things. For me, the card does the job and meets the niche I use it for. Virgin have the excellent 789s on two of the three main routes I use on solo trips, with a decent Premium Economy cabin. Hence the upgrade voucher works for me. I still use my BA Amex for the 2f1 trips with my wife. Have to agree with Nigel, it’s ok for the sign up bonus but I’m struggling to see any further value. I’m getting 2 points per £1 spend on foreign travel on Gold amex, it’s costing us nothing to hold, has arguably the best transfer options plus, on amex website I don’t come across comments such as ‘you aren’t a silly sausage!’. I guess the only use is if you want to buy stuff from anyone that doesn’t take AMEX. How easy is it to get and keep Gold just now, and what impact will the KLM/Air France tie-up and the FlyBE takeover have on chasing status? The voucher is useless to me if the two of us can’t redeem it in upper. That is the main thing that stops me collecting Virgin points seriously now over Avios. That, and the limited route network for these 241 redemptions – I suppose they have to be on Virgin operated services. Gold on VS requires 10 discounted UC long haul flights, or 5 flexible ones, the more expensive fare classes. Unless you fly for work it’s hard to see someone that self funds their flights meeting criteria, and worrying about an upgrade voucher. I can’t see how you can get gold on VS short of £8-£10K, on BA it’s possible for £3K. Who knows what’ll change as a result of KLM/AF. Virgin missed a trick with the voucher, it’s not going to tempt anyone away from the BA 241 which has much better value for a couple wanting business class. I’ve earnt one as a no status VS, I’ll probally not use it. How do you get BA gold for £3k? Really not difficult, three Qatar Airways £1k business class return trips to Asia would do it (plus 4 cheap paid BA segments). Is it possible to use the return premium upgrade as two one way upgrades ie as a couple rather than one dole return upgrade? I got the free card last decemeber, and recently had my first statement. the 5000 signup points have been credited. I have reached the required 1k spend and just had a strange email from virgin “an update on your bonus miles” saying that the spend bonus will be added next month, but also that the offer is running for three months so I can “boost miles again by spending this month”. Does it really mean that spending 1k every month gets the bonus 3 times, or is it just a copy/paste from a former offer not been proof-read ! Exactly the same with me and my wife on the paid card. The bonus at sign up was for 10k miles for spending £1500 within 3 months. However the email I received since says 6k miles each month for spending £1000 each month. Very confusing. Have contacted them for clarification but received no response so far. The 10K is the sign up bonus, but over and above that they’re offering you an extra 6K for spending £1K per month for the first 3 months. Spend £1K per month for the first 3 months. Month one you get 6K, half way through month two you hit the spend target for sign up and get the 10K for that, at end of month two you get the 6K for that month. The month three spend of £1K generates the third 6K. So for spending £3K you’ll earn 10+18 = £28K points + the points on the spend. The card fee doesn’t count as spend so make sure to spend the £1 per month. The 6K bonus points lad by a month, so awarded month’s 2 3 and 4. Yes Doug that is what they’re saying in the most recent email (after I’d actually signed up). But that wasn’t the deal they advertised when I signed up. This was 15k for signing up and then a bonus 10k for spending 1500 in 3 months. EG exactly what Rob is saying in this post that we are commenting on! Indeed the same with me. I have already spent more than 5k on card in the first statement month. Only received 15k bonus VS miles, not the 10K additional. I will wait for second statement, if it does not show in second I would complain to VM customer service. °	5,000 miles when you make your first card purchase (within the first 90 days). °	2,000 miles a month in the first 3 months your account is open, when you spend a minimum of £500 each month on your card. This clearly disagrees with what Rob posted back in December and again today. I won’t know until next month whether I’m getting 2000 or 5000 bonus points, by which point it will be too late if it’s the former and I’ve not put another 500 quid through the card! I wasn’t planning on using it much past the initial 1k spend as along with others the card is pretty useless without VS status and not a particularly generous miles benefit anyway. I did consider the paid-for card but that seemed very expensive simply for double points; if it automatically give VS status I’d have gone for it like a shot – the only reason i have the IHG black card is for the platinum status that comes with it. The offer above was targeted, which is why it differs from this one which is open to all. I am still going back and forth with Virgin on this one. I was clearly advertised an offer of a bonus 10k miles for spending 1500 when I signed up. They have only recently started sending me emails “reminding” me of the offer of 6k per month for spending 1000, when clearly there is nothing to remind me of as I was never told about this in the first place. I have now missed out on the first months worth of 6k – something that wouldn’t have happened if I was told about this in the first place by Virgin. Hopefully will get to the bottom of this soon. I’m on the cusp of spending the £10k on the Reward+ cars but am currently only Virgin Red. I might be able to get to Virgin silver over the next year, but if the voucher is triggered before I do that is it tied to my status at the time it is triggered or your status when you go to redeem? Regardless of your tier when you earn the benefit and when it is credited to your Flying Club account, it’s your tier when you spend your reward that determines the choice of available reward. Virgin Atlantic is useless to me until I know what is happening with Flybe for the UK domestic network (and when) and how does the KLM tieup work, if I Book a VA codeshare do I get VA miles and do they count for status? I fly to India for work regularly and currently use BA or Qatar and stick to Oneworld where I can. Worth waiting out or starting to collect now in anticipation?! I have already have amex platinum (plus supplementary), how likely is it if I was to get another Amex Platinum in Mrs Roger’s name and then expect Amex to target with £200 off £600 spend? I often find it takes weeks to get new offers on a new card so don’t bet on it. “The address you gave may not match the one your card issuer has. This is the most common problem for unsuccessful payments. The payment has appeared as pending on my curve card and appeared as pending twice on the linked Virgin credit card. I have made numerous payments in the past and a small payment earlier this month. The payment was under £1000 and there was available credit on the card. No issues for me. Just under 3k self assessment payment to HMRC via Curve – Virgin went through fine last Tuesday on first attempt. (Will kick myself if amex beta comes through this week as currently working to wife’s BAPP 3 month target). Going back to the point, have made only a handful of payments through curve in the last 3 months since being moved to a higher spend limit, and this was the second transaction linked to Virgin having put through some Brighton spend a week before to test if it is picked up as a cash advance in my statement. Came through as a purchase. This happens for me if I am trying to exceed the Curve daily allowance (which can be increased by asking them). I recently put £2k through Curve to HMRC which went fine then tried another £2k on the same day and got that error message. It shows as pending on Curve but that is just a bug and it is not actually pending (confirmed by their CS). Double check your daily limits and try again. Alternatively it may just be a fraud prevention mechanism when it detects “large” transactions if you don’t usually spend on it? 1 – can you churn this card every 6 months? 2 – can you bring a guest into the money lounge? You can take guests into the Money lounges, Donald. I suggest you invite Nancy Pelosi to join you. No idea about the card but yes you can bring in a guest. I have Virgin accounts and was just in the Glasgow lounge for the first time yesterday. How was the Glasgow lounge? Worth a visit? I found it fine but nothing special. Edinburgh lounge is bigger and has nicer views. Food and drink selection at both is pretty minimal – tea, coffee, water and cordial. Some dry biscuits and that’s about it. Find if needing somewhere to sit waiting for a train at a nearby station but I wouldn’t rush to visit! I can’t believe it but I’m actually agreeing with Nigel. I like VA and I do collect FC miles and have done so for ages. I have the free Virgin card. I happily pocketed the bonus but struggle to find a reason to now take it out of my wallet. I can effectively earn 1 FC point by using my amex. I have no VA status and won’t ever get to Silver let alone Gold. I’m not even against flying Premium on a day flight West. But the requirement to be Gold to be able to use the 241 in UC kills the card dead for me. I know Rob said that Virgin money was looking for an extra benefit for VA status passengers when they decided on this but I think they’ve got it wrong. Slightly O:T, Does any one know how I can calculate how many VS miles will be earn’t on a ANZ Premium economy flight in booking class A? That’s a new one to me, thanks Roger. I never new wheretocredit had a calculator. A nice 16330 VS miles for my Mum. Could you use the Virgin card to top up your revolut account? Yes, I use mine regularly for top-ups and the transaction posts as non-financial so no fees. Good way to get to a spend bonus. I did it, but was charge a cash advance fee. Can anyone confirm if it would be considered a purchase or a cash advance? Because different people are experiencing different things, which is possible. I’ve never been charged. I topped up Revolut on 28/12 with my Virgin card and saw no advance fee on my Virgin account, so I used it again the next day. On my statement a 5% cash advance fee posted 2 days after each Revolut transfer. Thinking of applying for the free card to get the 10k virgin miles, which i can then change to 10k IHG points, as don’t collect VM. Hoping it will arrive before Jan.31st so I can use it for SA Tax payment via Curve. Wise card to choose for my non-amex card? I currently have the free Creaction IHG card but no bonuses or similar for me to target. 80% of my spend goes through Amex, but looking for some small non-amex wins…? I have just been approved for the free card and that will add 10,000 to my account. Thanks for the tip. Sadly neither the free card nor the paid card are keepers for me. I don’t have status with Virgin and don’t fly Y or Y+ long haul so the voucher is worthless. Now if they begin to offer better fares such as the one world alliance does ex the EU then there may be a chance but I would also need a household account and ideally a gold status match challenge. Turkish do this and I have moved my summer family trip to Asia from OW to TK and star alliance. I am now actively moving shortfall to star alliance carriers ex LHR and will use priority pass in lieu of BAEC lounge access. This was in part due to sub £1000 J fares ex Cairo which allowed very long unlimited stopovers and in part due to the 787 TK take deliver off this year. They have a reputation for great in flight service and the new seats look fabulous. It also means one stop in Istanbul on my way to Asia from LHR. It is also in response to BA decline and their don’t care attitude to customers.